Publimetro: Reporters Likely to Press Obama on Threats to U.S.:Before Vacation? 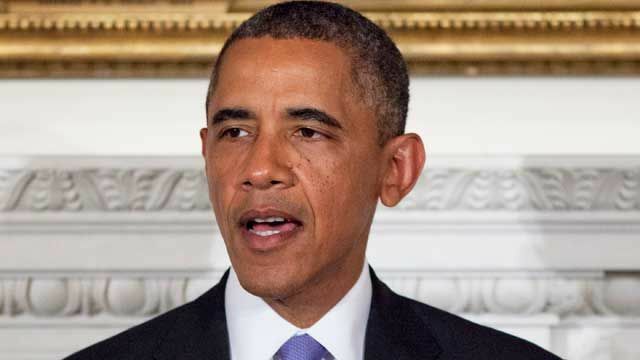 Reporters Likely to Press Obama on Threats to U.S.:Before Vacation? Before Vacation, President Will Take Questions From Media. WASHINGTON — President Obama will take questions from the news media on Friday afternoon, a day before beginning a weeklong vacation in Martha’s Vineyard that will be his last extended break from Washington before what is expected to be a contentious fall clash with Congress. Mr. Obama will most likely face many questions about a recent surge of national security news, including a continuing terrorism threat that caused the administration to close dozens of diplomatic facilities around the world and order Americans to leave Yemen. The only public comments from the president on the terrorism threat came during an appearance on NBC’s “Tonight Show” earlier this week when he told the show’s host, Jay Leno, that the government was not overreacting in locking down nearly 20 diplomatic posts and issuing a worldwide travel warning after intercepted electronic conversations raised concerns of possible terrorist attacks abroad. The White House news conference, which is scheduled to begin at 3 p.m., will be Mr. Obama’s first since April, though he has answered questions in a variety of interviews since then. The president has also made several statements to the news media without taking questions, including after the verdict in the Trayvon Martin case in Florida. In addition to the terrorism threat, recent news from overseas includes Mr. Obama’s decision to cancel a planned summit with the Russian president, Vladimr V. Putin, in part because of Russia’s refusal to return Edward J. Snowden, the fugitive former intelligence analyst, to the United States to face charges of leaking national security secrets. It will also be the news media’s first opportunity to press Mr. Obama in a news conference about the turmoil in Egypt, where the military helped engineer the ouster of President Mohamed Morsi. Domestically, Mr. Obama will return from Martha’s Vineyard in a week to confront a series of thorny disputes with his Republican rivals on Capitol Hill. Republicans in the House have continued to press for a repeal of the Affordable Care Act, Mr. Obama’s signature health care law. Some in the party have urged their colleagues to refuse a needed increase in the nation’s debt ceiling unless the law is repealed. That could lead to a repeat of the clash between the president and Congress in 2011, when tensions flared amid dire warnings of economic danger if the debt limit was not increased. Lawmakers are also at a standstill over the nation’s current budget, which could lead to a government shutdown later this fall if a deal about how much to spend and how much to cut is not reached. Mr. Obama will have the public stage largely to himself Friday afternoon, with Congress on its August recess and Washington largely emptied because of summer vacations. On Saturday, Mr. Obama plans to stop briefly in Florida for a speech to the group Disabled American Veterans before heading on vacation.